Aoife was sweet enough to select me for the Libester Award. 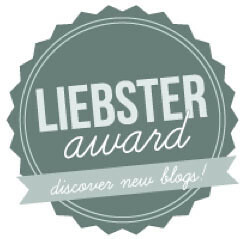 A way of getting the word out about your favorite smaller bloggers, the award works as follows. Each blogger who is given the award selects their favorite bloggers with less than 200 followers and asks them 11 questions of their choice. Each blogger chosen then answers those questions on their blog and gives the award to their favorite bloggers. 1) If you could try out any craft other than stitch-y things, what would you do? 2) What's the reasoning behind your blog's title? I actually have a whole page answering this, but long story short, Dragon was a high school nickname and when I got engaged I started using MrsDragon for wedding planning. I liked it, so it stuck. 3) What was the first music album you bought? 4) What would be your dream job and how is that different to when you were a kid? I actually have my dream job--I work for a consulting company doing product development. This means I get to work on lots of different kinds of projects and help people actualize their ideas. It's fantastic! As a kid, I didn't really know what I wanted to do. I toyed with writing, teaching, architecture, and finally found engineering, which I think is the best fit. 5) If you had time and money, where in the world would you choose to go visit? I'd love to go spend 6 months or so living in Europe. Maybe France, since the hubby can speak the language. As much fun as short visits are, I'd like to stay long enough to get beyond the highlights and really see how people live in another area. 6) Do you have a new sewing technique you want to try out and learn this year? Paper piecing! Quilt as you go! Free motion quilting! And I'll probably stumble across others. I like to try to learn something new with each project, even if sometimes it's as simple as practicing my 1/4 seams without pins. 7) What is your all time favourite movie? 8) If you could get rid of one chore from your life, what would it be? Does paperwork count as one chore? I hate all the filing out forms and and checks and mailing them in and then getting MORE paper back in return and having to file it or call them to correct it. Ugggggghhhhh. 9) What is the greatest source of creativity for you? I love to see what other people are creating, the colors they are using, the problems they are solving. Those are often great jumping off points for me. Once I get an idea, music is what keeps me tuned in and "flowing". 10) What are you most proud of in your life? Just over a year ago I became a licensed Professional Engineer. I am immensely proud of not only accomplishing that but the fact that I did it on my own. Just me and a very thick book. 11) What thread-related project are you working on right now!? At the moment, I am actively working on an adorable Christmas tree wall hanging for my Curves class and am about to finish a jewelry roll. I've also just begun a baby quilt. The baby is due in May so I need to keep this one moving! I have at least half a dozen UFOs which I swear I will get to...very soon? I am not sure how to check how many followers people have (unless they have a widget, which many of the blogs I read apparently don't)...but here are a few of my favorite bloggers that you may not have read. Truffesdujour The photography blog of a friend who lives in Switzerland. The photos are often time delayed but her processing is worth the wait! Treasures of the Phoenix Amanda is a fellow quilter and CSA participant. I love her idea of monthly quilting goals. The Anvil Tree Another Huntsvillian, Sarah writes a slice-of-life blog and has a theory that Thin Mints are the cookie that unites us. Eat. Paint. Lauren. A behind the scenes look at the life and work of a watercolor artist, art teacher, and mom. Entirely Adequate An ex-newspaper copy editor, Suzanne writes about food, travel, cats, and her past with wit and humor. 2. What is your favorite dish to make at home? 3. If you have something small to celebrate, how do you celebrate? 7. How do you feel about rain? 9. Share something you have learned in 2013. 10. Do you fold socks? 11. What do you consider your everyday necessities? Hehe, a town of villain hunters! Thank you for the award! It's my first ever!